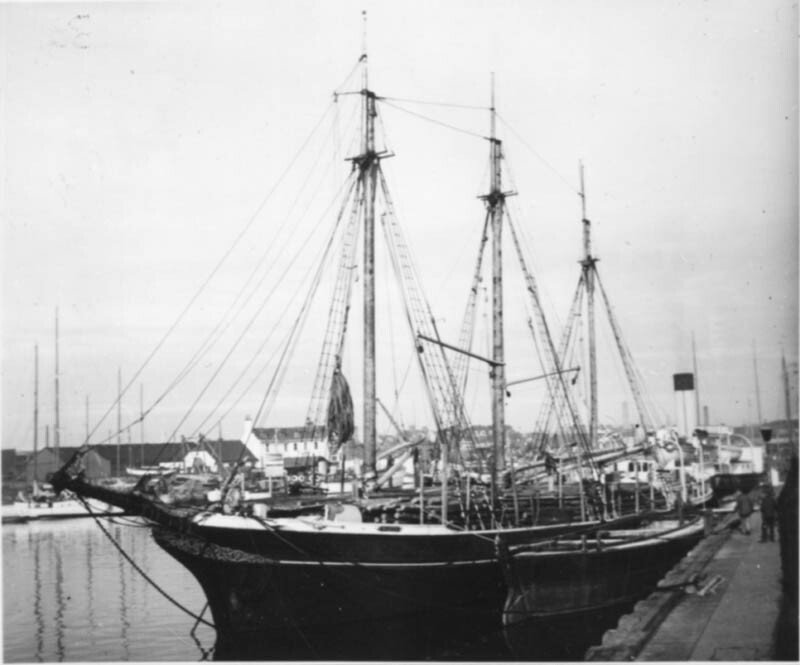 Schooner "Karen" from the Baltic with pit props for the Purbeck clay mines, travelling from the Baltic,1936. The props were taken across the Harbour by barges to Goathorn Pier. The "Karen" returned to Europe with Purbeck clay.